Windows of any shape – rectangular, trapezoidal, triangular, arched, oval or round. 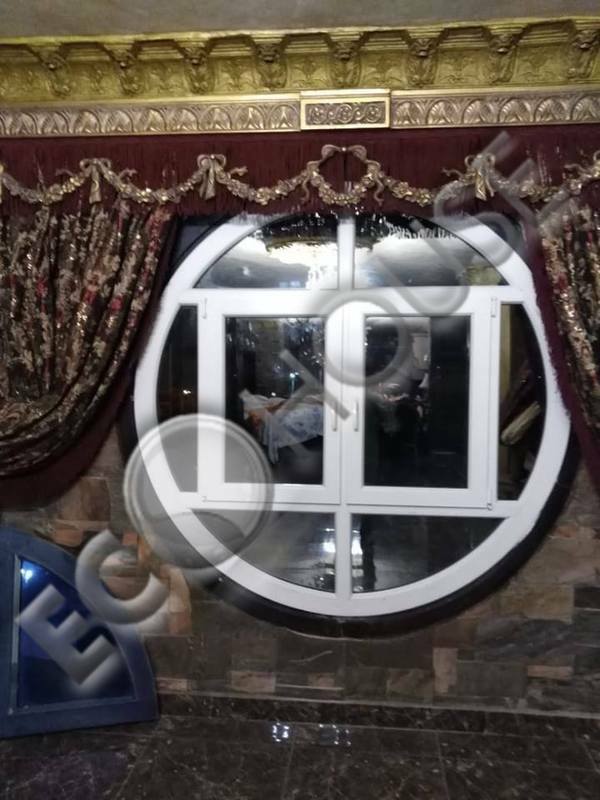 We have special equipment that allows to produce plastic windows with not straight sides and in our factory work professionals with extensive experience in production and installation of nonstandard and arched windows. Round PVC windows can revive any room and make it sparkle with new colors. The manufacturing process for these windows is quite simple. They are made by means of a flexible profile like arches. The result is two semicircles which are welded together into a round window. Unlike arches, round windows have limited radius and maximum weight of the sash. Round windows differ mainly by the type of opening. They can be desolate, with semicircular openings (one or two), down-hanged or middle-hanged. Each of these types imposes certain restrictions on the window size and weight. Round windows are used not only in homes but also in basements and in attics. These windows are a great solution for areas under the roof. The windows of trapezoid shape as well as other non-standard are a great solution for any room. The main and perhaps the only limitation in the production of trapezoidal windows is that the angles can't be too sharp, at least 30 degrees. There are no other restrictions, it just depends on the imagination of the customer. Trapezoidal window especially good with a decorative design, for example, trim cover can help to bring a little romance and retro style. There are many reasons why people choose trapezoidal window. For example, if the roof in the gable house, trapezoidal Windows will let more light into the room. In addition, this window will be able to emphasize the good taste of the home owner. Do not forget about the fact that with the right approach to the idea and embodiment, a window in the shape of a trapezoid can become not only a stylish exterior, but also be very functional. Triangular windows are often chosen by owners of country houses and villas, especially if building has a peaked roof. In the manufacture of triangular Windows is used more material than in the manufacture of standard rectangular windows and it will be surely reflected in the price. The next reason of high price is a complexity of installation works. As in case of the trapezoid, angles for triangular windows should be not less than 30 degrees. Usually windows of this type have isosceles or right triangle shape. The first option looks good over conventional window structure or under a roof. 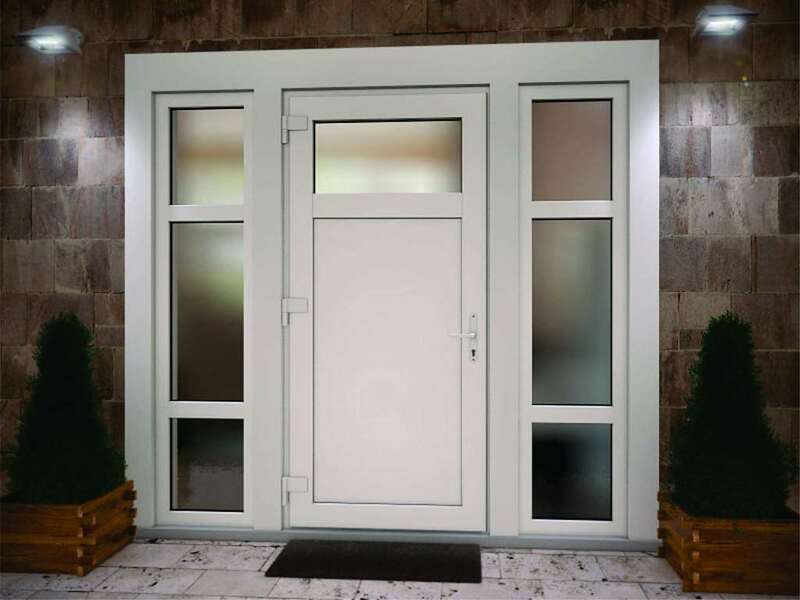 The second option suggests the possibility of installation of windows with turn or tilt ways of opening. Triangular windows fit perfectly into the different design options whether it is classical or modern hi-tech. The individuality of every package order is considered to be the main feature of the manufacture of windows of irregular shape with oblique angles. All the details about the capabilities to manufacture irregular shape PVC Windows will be provided by the managers of our sales offices. 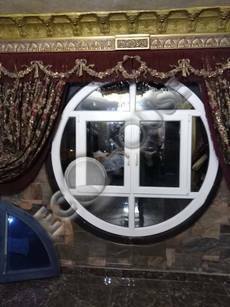 To make order for nonstandard uPVC windows and doors of any shape – rectangular, trapezoidal, triangular, arched, oval or round or to deal with your request or to buy, please contact to local "Eco House" suppliers in your area: Alexandria, Port Said, Damietta, Suez, Ismailia, Sharm El Sheikh, El Gouna, Hurghada, Tanta, Mansoura, Safaga, Marsa Alam, Kena, Meet Ghamr, Kafr El Sheykh, Assiut.